Lorna at Sew Fresh Quilts recently hosted an elephant-along. When I saw the pattern, I just had to make it. My version is a bit bigger than hers, which makes it too big for a toddler. And I don’t know…the pattern is childish for an older kid or adult. So I don’t know who it will go to. Maybe I will keep it for myself, lol! I think I’m going to embroider tails onto all the elephants. Lorna has generously made her very sweet elephant quilt pattern available for anyone to make for free! The directions are on her website, here. And check out this linky party to see all the cute variations people have made. This entry was posted in A-Z Blog Challenge 2015, Creativity, Quilts and tagged blogging A-Z challenge, elephant quilt, elephants on parade. Bookmark the permalink. I love your elephants but the little birds just make me smile! Thanks for sharing at Val’s Studio. 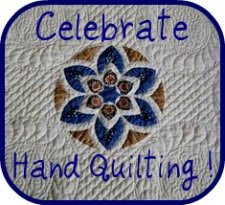 Congratulations on a fabulous quilt top, Nita! Love that you made this quilt your own by adding an extra row. Your elephants all look very happy to be in this colourful parade! Your version came out so cute! I downloaded this pattern as I couldn’t resist it either.